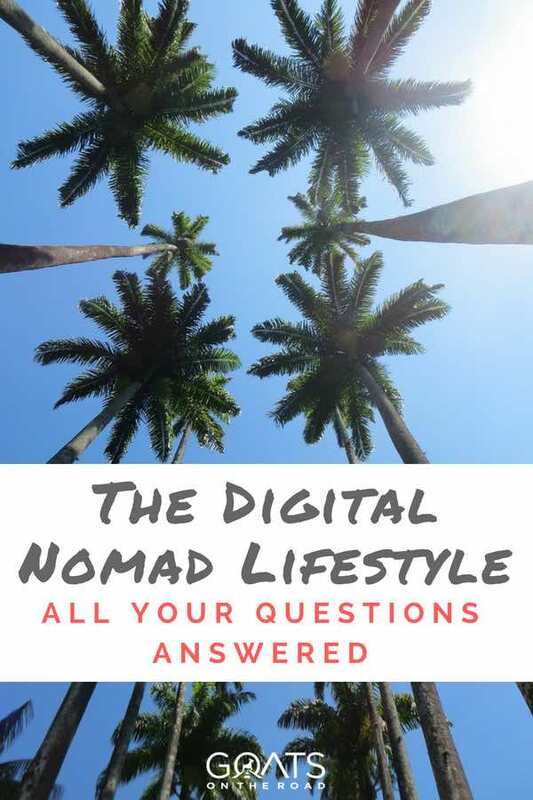 As Nick and I continue with our digitally nomadic lifestyle, we’re often asked questions by you, our readers. 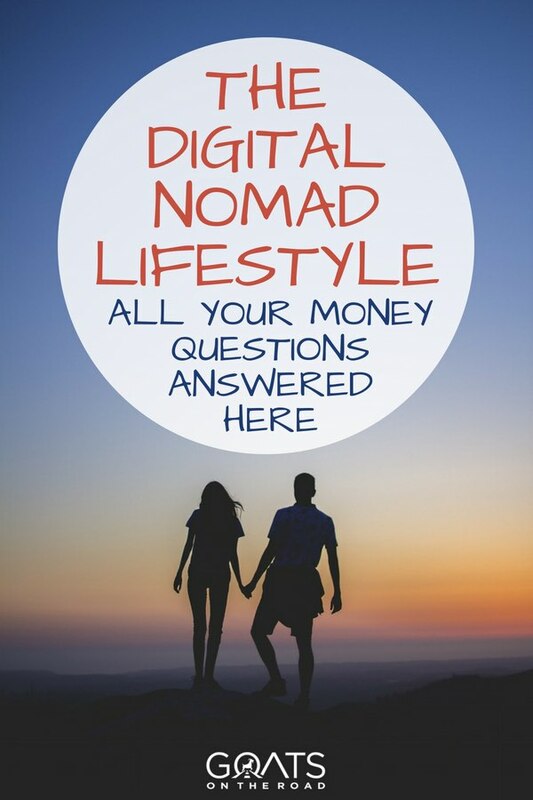 We receive countless emails, Facebook comments and article comments about how we currently make money on the road, how we’re able to live in paradise and how we saved enough money to go on our first trips abroad…which ultimately lead to our wandering way of life. We love hearing from all of you, and on top of emailing back everyone individually, I’ve decided to make these questions and answers available to everyone. Here it goes! How did you save money for your first trip, and how much did you end up spending? Our first backpacking trip was in 2008/2009 for 13 months. This journey took us through SE Asia, India and Sri Lanka and it was the best thing that ever happened to us, as it made us realize that we didn’t want to live the conventional way of life anymore. 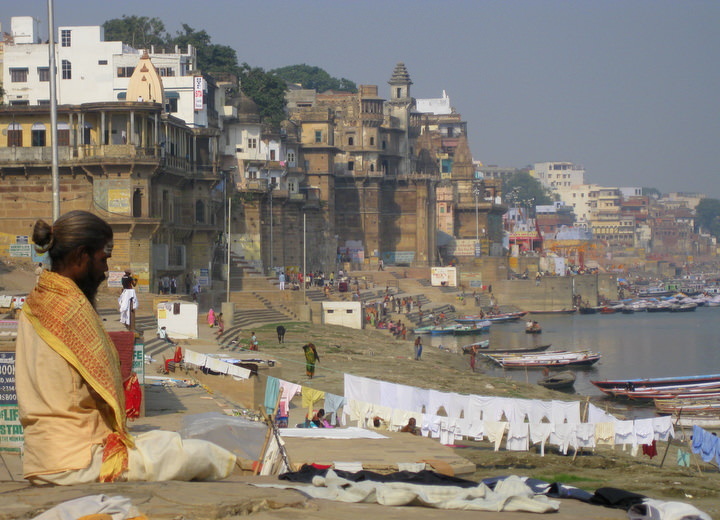 The banks of the Ganges River in Varanasi, India. We were able to save $40,000 for that trip. In order to do so, Nick worked many overtime shifts at his job in Canada and was able to put a lot of money in the bank. We also sold our possessions: the car, the condominium and some electronics. SE Asia and the subcontinent are very inexpensive travel destinations. We were on a tight budget during that trip and ended up spending on average $50 a day. Some days we spent more, while some days we spent less, but it averaged out at $50 a day for the both of us. This trip cost us $30,000, including all flights, travel insurance, country visas and in-country costs. How can I save money for a trip around the world? There are so many ways to save money for travel, but one of our biggest tips has to be to use cash. Remember, that paper stuff that people used before plastic? By using cash for your purchases, you’ll actually see where your money is going and you can put yourself on a bit of a budget. Once the cash in your wallet is gone, the budget is blown! Once the daily budget in your wallet is gone, the entertainment is over…or, you will be over budget! It’s far too easy to just swipe your debit or credit card to buy things without thinking about the actual money you’re spending. Once you see your credit card bill at the end of the month, or your dwindling bank account statement, you’ll probably be regretting those purchases. Now, if you’re using a credit card to gain rewards points, that’s another story, but you must have willpower and discipline to pay it off monthly. Take local transport, walk or cycle. Driving is expensive. Sell your stuff – clothing, furniture, electronics, vehicle, etc. Pick up a second job, or work overtime hours (it’ll all be worth it when you’re travelling). Start an automatic savings account. When your pay cheque is deposited, set up your account so money is automatically moved into a savings account. If you don’t see the money, and don’t have to manually move it, you’ll be less likely to spend it. Click here for more ways to save money for travel. By not purchasing your daily dose of caffeine, you’ll save a lot of money for travel! How much did your second trip cost? How did you figure out how much money you needed for it? After returning home from our first trip, we lived and worked in Canada for one final year before taking off again. We had planned to travel through Europe, Africa, the Middle East and Asia for a little over 15 months, and we figured we would end up spending about $100 a day in-country. 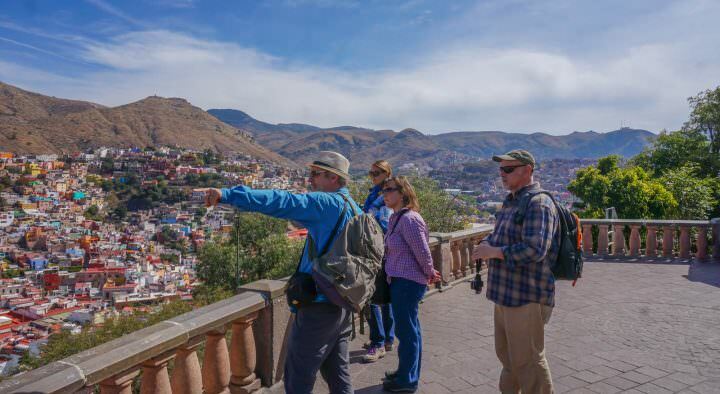 The way we arrived at that figure was by looking at guidebooks with suggested daily budgets and from reading other travel blogs to get ideas of how much other people spent in those countries. We ended up budgeting pretty well for that trip and spent $88 a day on average in-country, which equals $42,000. On top of that amount, we spent $13,000 in flights, travel insurance, excursions (safari!) and entry visas. The total trip cost us $55,000. This was what we looked at every day while planning that epic trip! 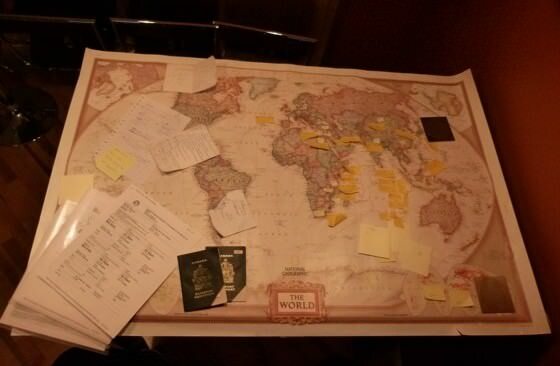 So many post-it notes on the map! Did you enjoy teaching English? How did you get a job in China? Was it a good way to make money on the road? After that 15 month’ish trip, we both knew that we couldn’t go back to working at our jobs in Canada, we wanted to live abroad and figure out a way to sustain our travels by earning money on the road. But more importantly, we wanted to continue living our freedom-filled, debt-free way of life. We volunteered teaching English in Myanmar for a week, and from then we knew that we would like to try teaching English as a way to make money, live locally and continue travelling. So, we contacted schools while we were travelling around China and sent off our resumes. We looked in hostels, shops and restaurants for job postings and found some there. But, what ultimately landed us the job was our searching on the internet for job postings (check out Dave’s ESL Cafe, Transitions Abroad, TEFL.net, or when you take your TEFL course, usually they will assist in placing you in a teaching job). Teaching English is a great job, we loved our students! Note: Click here to receive 35% off of your TEFL course with MyTefl! Just use the promo code: GOAT10. 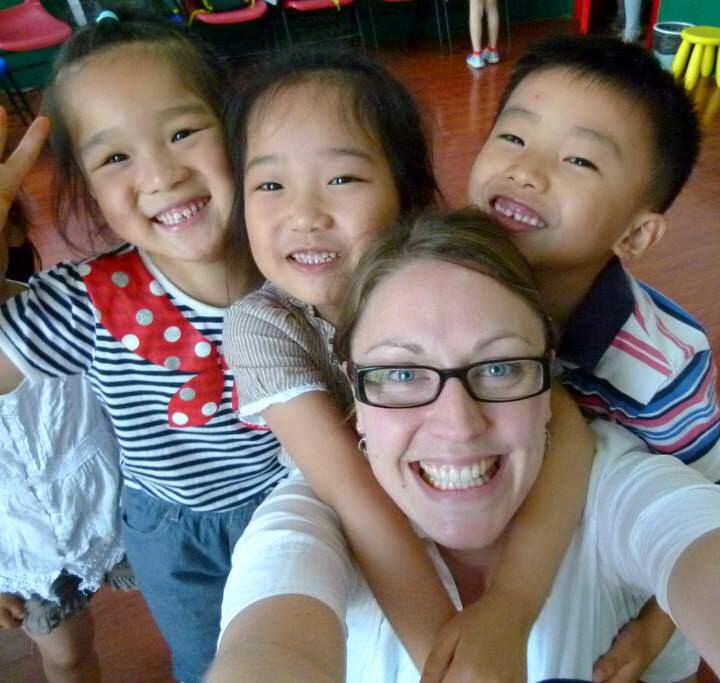 We secured a teaching position in Yangzhou, China, which was where we spent a year teaching adorable children aged 3 – 16 in various classes. 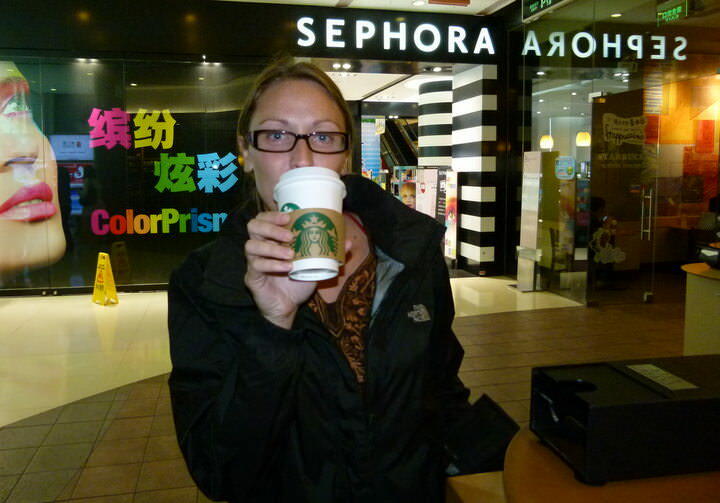 For us, this was an excellent way to really immerse ourselves into the Chinese culture and way of life. We had many local friends, and attended many local events. Living in China was an eye-opening experience, one that we’ll never forget. On top of all of the memories made and experiences had, we were able to save money for future travels, $21,000 to be exact. How do you guys have the money to do what you do? In the beginning, our website didn’t make any money, it took us 15 months before we earned any cash from our site. Luckily, we didn’t give up and we kept plugging away at Goats On The Road until finally, we earned our first income from advertising. You can see the Complete Evolution of our Blog from Hobby to Career here. These days, our travel blog and all of the opportunities that arise from it, are our sole sources of income. Some of the opportunities that I’m referring to are freelance writing (we write consistently for four websites and sometimes for newspapers and magazines), affiliate marketing (we earn a small commission if you purchase insurance, TEFL or house sitting memberships from us), working on various marketing campaigns for companies (assisting with social media promotion, blog content, etc. ), and destination marketing campaigns (working with tourism boards to promote the destination). Trying to get some writing done at a hostel in Mexico. Due to our website’s traffic and social media stats, we are also able to partner with hotels, hostels, tour companies and (sometimes) airlines during our travels. Although this doesn’t earn us any money, in turn for promoting the business to our readers, we are offered complimentary accommodation, tours, transport, etc. We only go on tours, and work with businesses which we feel coincide with our brand, our travel style and our values. We’re always honest and give truthful reviews. It may sound like a bunch of “freebies” but it’s a lot of work and takes a long time to create the videos that Nick makes, to constantly take photos to promote on social media, and to write the in-depth review articles that we do. It’s definitely not free, and we spend a lot of time creating great articles for the companies that we work with. First of all, you must have the passion for writing and the desire to travel. If your sole purpose for creating a blog is to make a few bucks on the side, most likely your blog won’t succeed as your lack of motivation for real blogging will come across to your readers. However, if you are a traveller who enjoys writing stories, providing tips and taking photos, then travel blogging could be a great way for you to make money while travelling. Keep in mind that it could potentially take you a long time to earn any money from it, but don’t give up! Many people start making money much sooner than we did. 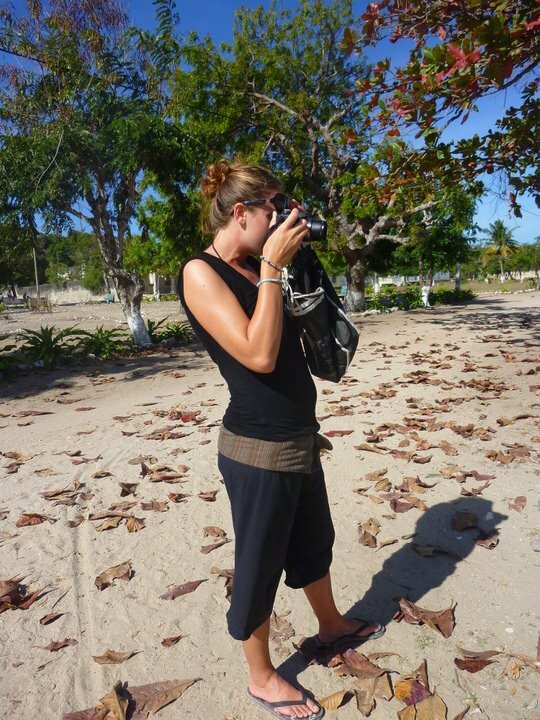 If you enjoy writing, photography, travelling and helping others, then travel blogging could be for you. 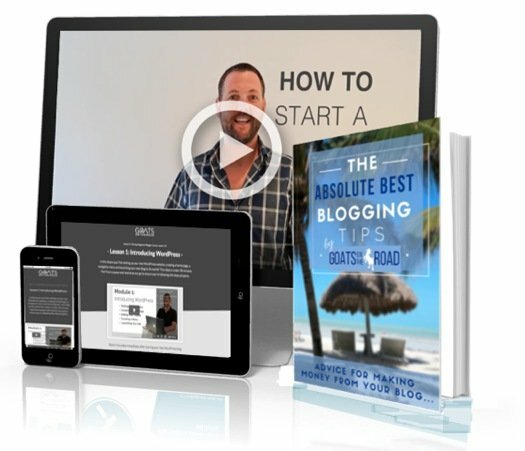 In order to start a blog, you’ll need to purchase your domain name (ie: www.goatsontheroad.com), find a host, design the website (or hire a designer), open up social media accounts, and publish useful content. Obviously, this is a very vague description, but there is a lot that goes into starting a website, far too much for me to explain here. On top of all of this, you’ll need to have patience and stick with it. Travel Blogging isn’t an easy job and although it may look like bloggers just travel and bum around, we all work very hard and spend a lot of time on our computers. If you’re interested in learning how to start a travel blog, check out this step-by-step guide. 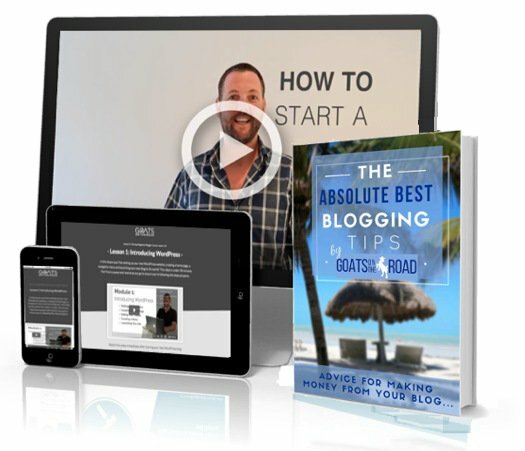 If you start a blog using the link in that article, we’ll send you our pro blogging ebook, for free! How are you guys living in those gorgeous homes in the Caribbean? We pet sit. 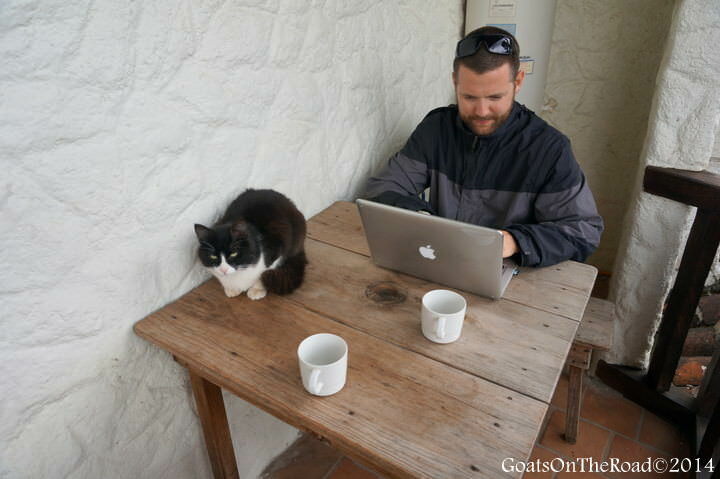 We had heard about house / pet sitting from a fellow travel blogger, and two years ago Nick and I joined the website called Trusted House Sitters. 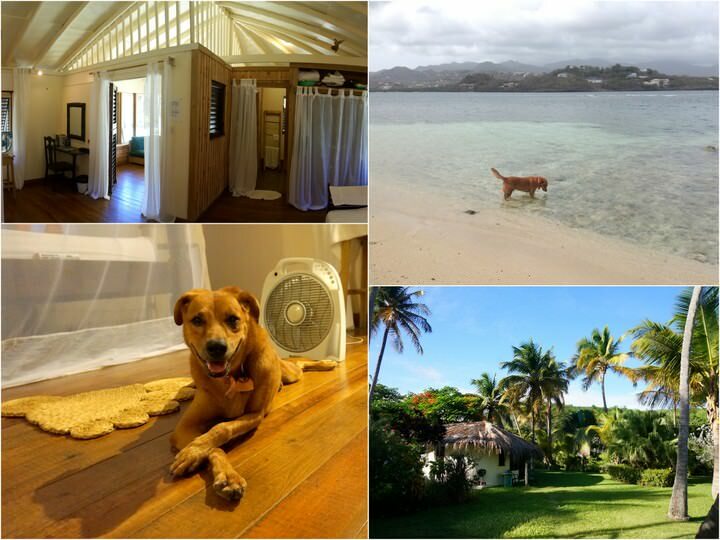 This site connects homeowners with responsible people who are available to take care of their home and their pets while on vacation. We received our first offer while we were sitting in a restaurant in Shiraz, Iran. 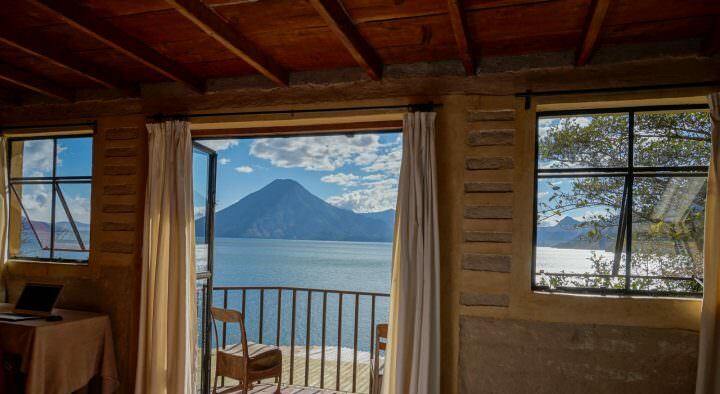 When we saw the destination listed, we could hardly contain our excitement, and then, when we saw the furry face that went along with the home, we were definitely sold! The offer was from the tiny Caribbean island of Grenada. We spent 7 months in Grenada last year and we’ve had jobs in Costa Rica and Barbados, plus two more this year here in Grenada. We’re currently back with Spare Dog for 3 months and the two months prior to this, we were house and pet sitting at another gorgeous home with a pool and two adorable dogs! This is the first house / pet sit we ever had, and we returned again this year! We’ve received offers to house sit in Qatar, England, Australia, Canada, the USA and more. House sitting has allowed us to live like a local, travel slowly and enjoy the company of a pet – which is something our nomadic lives doesn’t allow. Although we’re not making any money from pet sitting, we don’t pay for accommodation and so far, a vehicle has always been included with the job. You two are in your 30’s and aren’t married or have children, your life is very unconventional. How do you deal with people back home who don’t agree with your choices? We sort of feel like we did the “normal” life backwards. We were in a relationship, had good careers, owned our own condominium, had money in the bank and were on our way to living “happily ever after”. For most people, that life is a dream come true… but not us. Instead, we gave up everything that we had in Canada, and traded it in for a year of exploring the unknown, having amazing experiences and creating lasting memories together! When we set off for our first trip, our families and friends were worried about us. We hadn’t been together that long, we were young and we were going to the other side of the world. However, after realizing that travelling is in our blood and is a huge part of us, they’ve come to realize that this is what we’ll be doing for the forseeable future, and I don’t think they worry anymore, I think they “get us” now. 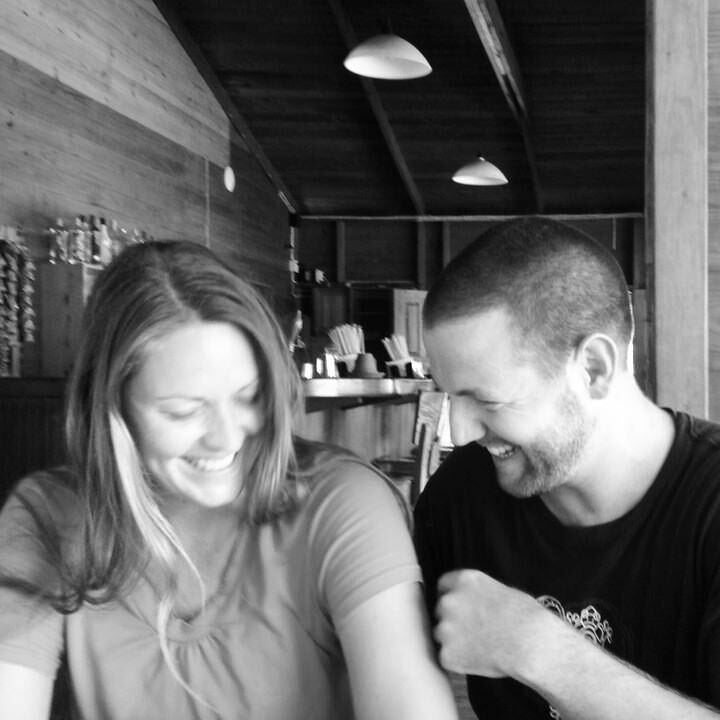 We’re together 24/7, 365…we’re more than married!! Of course our families want us to have children and want us to get married, but they also don’t want us to settle or change our way of life to please them, and we wouldn’t do that anyway. So, for now, a wedding and a baby are not on the cards… but I suppose you can never say never. There you go guys, I hope that this article helped to answer some of the questions you may have had about how we fund this kind of lifestyle. Please ask us any questions that you may have either in the comments below, or, send us an email. 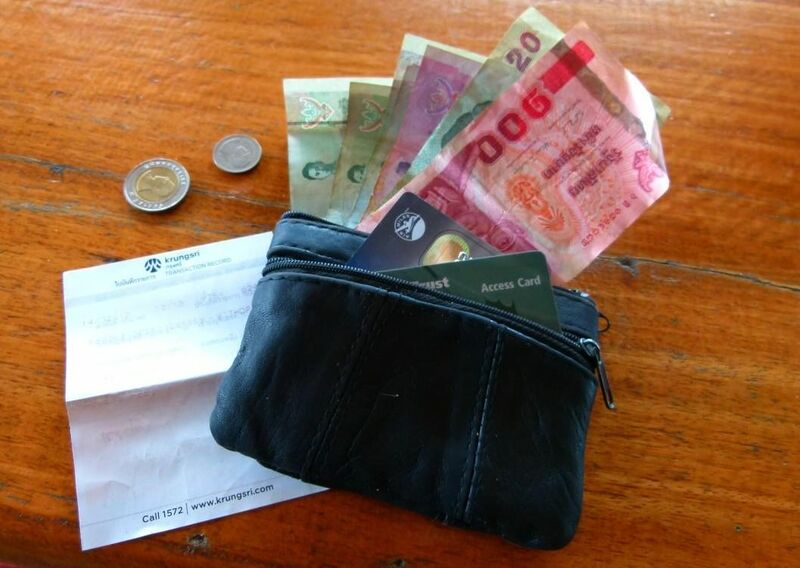 There are many ways to make money on the road, and many ways to save money while travelling as well. You just have to go for it and take the leap into a life of freedom, travel and adventure! Hey guys, very interesting story! I was wondering if you’ve had any emergencies or any kinds of problems while house & pet sitting? My husband and I are currently considering this option and are researching at the moment. We haven’t had any issues yet with house/pet sitting. There are things to consider though like if the pet is very old – then there is a chance he/she could die on your watch (which would be awful). The homeowners typically leave contact information for a neighbour, plumber, mechanic, or their friends so that if there are any issues with plumbing, house maintenance, if you crash the car, etc. then you can have some assistance. Plus, you’ll know where the vet is as well! Great summary about transitioning from the “real world” into the the nomad lifestyle. There are so many options. ESL seems to be the most common. Lots of expat jobs out there as well if you don’t go the digital nomad route. We thought we would housesit but didn’t work out for us. Now trying to transition back into a more normal routine after a long trip. Great work guys! You’re right, there are many options for making money on the road. Where did your long trip take you? We went to the states for a few mints, east Africa for two, Central America for 5 months, then Colombia and Ecuador for 2.5. We saved about 30k. Tried to average $3000 a month. Went way over in the states and Africa. Latin America we discovered workaway and helpx. We slowed down and move local. We bumped our expenses down to 1500 in those countries. We ended our trip because we had to go back to the Philippines and the states to get a visa to work in Austria as I just recently got offered a job. Now sitting in the Philippines waiting for the visa. We’re running travel workshops in Manila now to help empower people and deconstruct the lies that paralyze people from travel. Been snooping around your site more after seeing yall on Business Insider. Love what you guys are doing very much encouraged. Thanks again Nick and Darlece. I really liked your topic! You have narrated it very nicely. I am sure your information will be very helpful for those who are willing to travel all around the world. Thanks for sharing your story. Thanks for sharing all this info! My husband and I have traveled a lot (we actually met in Germany), but it seemed unsustainable. We actually settled down in Denver (we moved there on a whim), bought a house, and now are in the process of renting it out so we can live in a tiny cabin in Aspen. Not quite as exciting as traveling the world, but we’ll have a lot of exciting things to do right in our backyard! And maybe we’ll save up some money and do an epic trip like you have! That sounds great to me Erin! As long as you’re doing what you want to be, then it’s all good – sounds like you guys have done lots of travel anyways 🙂 Enjoy your cabin! Hi! I’m a new subscriber to your website, love it! My husband and I are too in our thirties and have quit everything to go away for a few months and see how things turn out! How do you go about obtaining work visas where you travel? We’re too old for the working holiday visa and so without sponsorship, it looks like our only option would be cash-in-hand jobs which can be risky…but it seems that’s maybe not the only option from what I’m reading! How do you guys do it? Thanks so much for your help 🙂 We fly to Lisbon tomorrow, very excited! Nice tips for those looking to travel. I like your unconventional story with the spin you’ve put on it. Life is about experiences in my opinion they are priceless. This is so exciting! Thank you for sharing your upcoming plans with us, good for you guys for taking the leap 🙂 Good idea going for it before there are grandkids, and I’m sure your kids won’t mind coming to visit you in exotic destinations! $75 – $100 / day is a great budget, you’ll be able to do lots with that. Hm, in SEA we loved Indonesia, Myanmar, Malaysia, parts of Thailand, Palawan Island in the Philippines, Vietnam, Cambodia, Laos…haha. We really liked them all. At the time, our budget wasn’t very high so it was hard to fully enjoy Singapore. We also thought Borneo was pretty amazing. Hey guys! Great article! I love reading all your stuff and appreciate your excellent advice! I read a lot of travel blogs but I find yours the most interesting and informative as well as the most creative and fun. You are the best 🙂 Thank you so much for following along on our journey and for commenting! It’s so great to hear from someone with the same ideals as us, and I’m sure you’ll be back out on the road before you know it. Thanks Rosie, all the best. 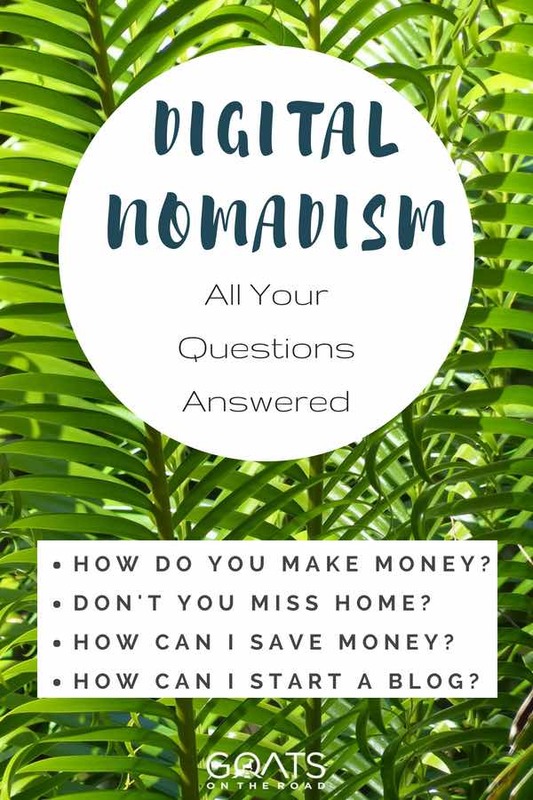 Thanks for sharing your insights and the choices you made to create the nomadic travel life you wanted. It takes a lot of determination and brand focus to be successful at travel blogging. Well done! Bret and I hope to look into Pet Sitting when his daughter goes off to college. We love animals and would love to travel for a more extended period of time. It took a while, but we are happy with where we are in terms of blogging and our brand. Definitely look into house/pet sitting, we highly recommend it. This house sitting site is amazing! I’m keeping track of the ways I can manage traveling on my budget, and I hadn’t thought of this before. I’m hoping to follow in your footsteps, but I know I have a journey ahead of me. That’s part of the excitement though! The journey ahead is always exciting! As is planning for it 🙂 Definitely consider house/pet sitting if you love travelling slowly and love animals! You have written a very informative and helpful article. As my husband and I transition to a nomadic lifestyle, I’ll be referring back for frequent reminders. Keep up the good work with your articles and photos! This is THE article everyone always wants to read! Thank you for taking the time to put it all together and lay it out. A nomadic lifestyle isn’t for me, but this article is helpful beyond helpful! I make a living teaching English and love not just the job, but also the flexibility and the vacation time it gives me! Thanks for commenting! For sure being nomadic isn’t for everyone, and I’m glad to hear you’ve found something that you love! Teaching English is great, as it does feel like you’re travelling because you’re in a new country, and being able to travel from there is fantastic as well. Great post, guys! Our story is very similar to yours in that we’ve also done ‘normal’ life a bit backwards. But that’s really the whole point, you got to figure it out for yourselves. Yes, we do freelance writing for 4 websites each month and other magazines and newspapers as well. Thanks for the comment, you’re right, many people were wondering how we got to where we are and it just made sense to put it all in one place 🙂 We know of many people who travel with their children, so it’s definitely doable! Cheers. I’m from India. your page is really helpful to understand something who is going start traveling. i want to know if im new and want earn some cash by traveling agency AIDS .. then wht i need to do 1st? how long time i need travel experience ..photo .. video or some intresting thing .. for start our site ..?? please know me how you start earn money by travel agency AIDS. write something about that then that post help others who is new.